Superhuman strength; ability to alter the atomic structure of his body at will to change form; ability to increase size by taking on additional mass from an extra-dimensional source. The one who would later be known as En Sabah Nur was born in the mid-30th century BC in ancient Egypt. He was disfigured at birth and was left in the desert to die. He was found and raised by Baal, leader of a group of nomadic raiders, who considered him to have the powers of a god. Baal gave him his name, En Sabah Nur, which meant the First One. He was raised by the philosophy of the Survival of the Fittest and took it as his own. In the middle of the 12th century, he found an alien Celestial ship in China. Staying in the ship for decades, he learned the workings of the technology. In 1859, He activated Mr. Sinister's powers using advanced technology and had an alliance with him. However, he was subsequently injured by Sinister and had to go into hibernation to recuperate. He woke up many years later and clashed with X-Factor (original X-Men) using the Alliance of Evil in his employ. Throughout the years, he had employed his four Horsemen (Death, Pestilence, War and Famine) to enforce his philosophy. He later gathered the Twelve, intending to harness the group's powers. However, the plan failed and he merged with Cyclops. Jean and Cable eventually found him. Using her telekinesis, she forced Apocalypse's spirit out and Cable dispersed it. He returned from death after M-Day and has begun to recruit his Horsemen. He intended for 10% of the human population to receive his antidote and the rest to die from diseases released by his Horseman Pestilence. However, the antidote was destroyed by the X-Men, prompting him to ask the humans to cull 90% of their population by themselves. 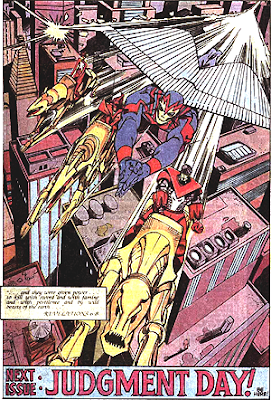 He was eventually stopped with the combined efforts of the X-Men and the Avengers after which he escaped into a dimensional portal, only to be approached by his masters, the Celestials. 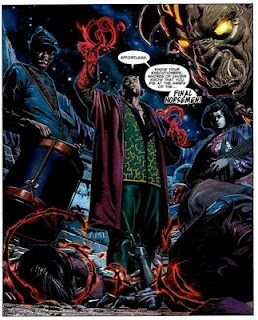 It was revealed that Apocalypse attained immortality and the ability to understand the workings of the Celestial ship due to the techno-organics in the blood which he had obtained from a time-travelling Cable. 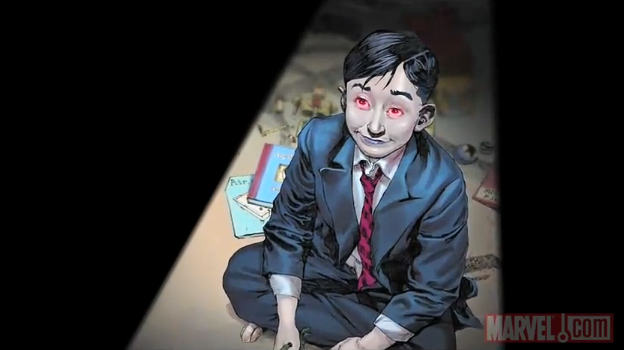 Apocalypse was reincarnated as a child in the care of Ozymandias and his Clan Akkaba. However, he was targeted for death by X-Force. Fantomex killed him with a bullet. Ozymandias was a warlord in ancient Egypt and constantly plotted against Pharaoh Rama-Tut (Kang the Conqueror) who had taken away his rights to be the Pharaoh. Apocalypse made him into his servant and he would go on to serve Apocalypse for thousands of years. 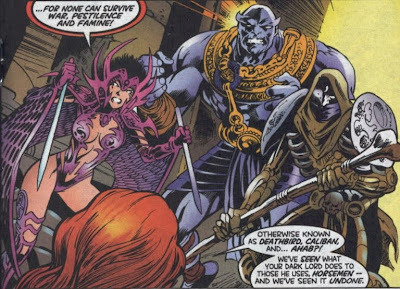 Apocalypse was killed by Cable some time after his failed attempt to use the Twelve to gain powers. He oversaw the resurrection of Apocalypse, who eventually arrived at the Xavier Institute to recruit mutants to his cause following M-Day. 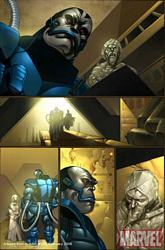 However, he plotted against Apocalypse and even brought a team into his base to stop him. He remained in the base even after the X-Men left, believing that Apocalypse will take a long time to find him. 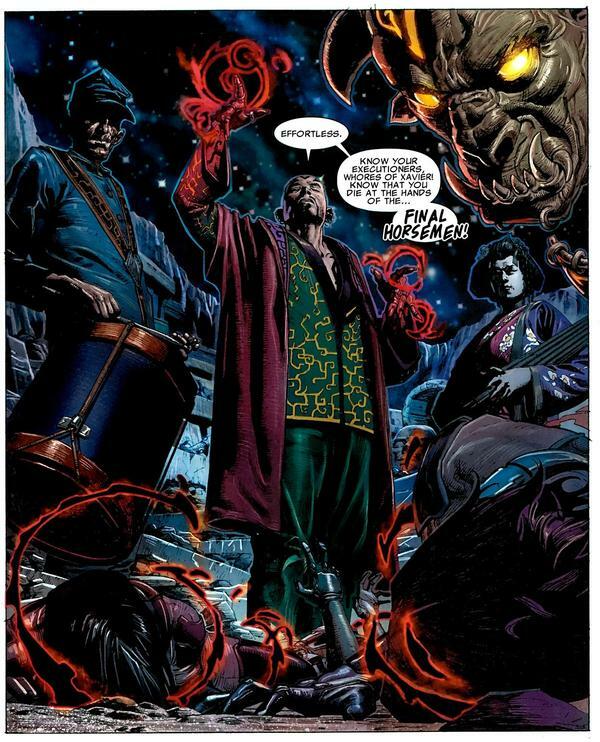 He was also involved with Clan Akkaba, the descendants of Apocalypse. Mutants were watched by the eternal mutant Apocalypse over the ages and selected as his Final Horsemen in the event that all other plans of Apocalypse failed. When he plays his drum he can transmit a bioauditory cancer, that feeds on the flesh of all who can hear it. Jebediah Lee was a confederate spy during the United States Civil War between 1861-1865 A.D. He would walk the battle fields dressed as a Union soldier and play his drum while gathering intelligence for the Confederate Army. At the end of the war, Jeb returned home and, still dressed in his Union Army uniform, was mistaken for a Union soldier. His family was burned alive because of this and his mutant powers first manifested. Sanjar has an ailment aura. He has the power to transmit a spectrum of terminal diseases depending on what variety of metal he touches. He can infect his victims with lethal diseases. He can target multiple people at once. Sanjar Javeed is the illegitimate son of King Shapur II of Persia, born around 325 A.D. Though his father was revered as beloved, generous, and compassionate, Sanjar never received these emotions from his father as he was born to a servant mother. Attempting to gain the love of the people of Persia, Sanjar would steal treasures from his father and give them to the townsfolk. Unaware of his mutant ability to transmit terminal diseases, his gifts to the townsfolk only spread death, even killing his father. Yume beetles come out of her mouth. She is able to mentally link with the beetles when they return to her. Ichisumi was born around 1833 A.D. in Kumamoto, Japan. Ichisumi was the daughter of a proud samurai and constantly disappointed her father in her occupation of a geisha by never getting chosen by any wealthy men. This led to Ichisumi later suffering from acute inferiority complex and upon the manifestation of her mutant power, she had her Yume beetles attack all of the other pretty geishas. The beetles went through hundreds of women until they returned to her. When the beetles returned to her, she was unaware, or did not care, that she would mentally link with them and the mutilation of the beetles drove her mad. Superhuman strength and durability. Attempts to read his mind can backfire, resulting the reader being overcome by War's sorrow and hate. He was able to piece himself back together after exploding. A successful strike with his axe will infect his victim with the cold thirst for war, causing him to attack those around him. Decumus Furius was born in Rome, Italy around 281 A.D. After his father was forced to commit suicide for his philosophic ideas, his mother soon committed suicide as well, leaving Decimus homeless on the streets. After the emergence of his mutant powers, Decumus was attacked and killed many soldiers before being imprisoned. He was later sent to the auditorium to become a gladiator and battled everyday for the next years of his life for his survival. Produces lethal diseases within her body and transmits the spores through her hands to make others feel sick, delirious, and eventually die. She was recruited by Apocalypse during the Marauder's massacre of the Morlocks to serve as Pestilence. She later died after falling from her metallic horse. He was a young Vietnam War veteran who later lost the ability to move and had to be kept in a hospital. Apocalypse came to him and offered to restore his ability to move in exchange for joining the Horsemen, which he agreed. As War, he later served in the incarnation assembled by Mr. Sinister, disguised as Apocalypse. He was seemingly abandoned by Apocalypse after he became paralyzed again. Archangel used his then newfound powers to heal him, giving him a new lease of life. A spoiled child living in Ohio, she was selected to be Famine for Apocalypse's first incarnation of his Horsemen. She was in another incarnation assembled by Mr. Sinister in the guise of Apocalypse to capture Cyclops and Jean Grey. Generates an emaciation force that dampens any source of energy upon contact, dispersing energy attacks directed at him and leeching off the bio-energy of living beings, severely weakening them. In the alternate future, Days of Future Past, Rory is Ahab, master of the mutant hounds (who included Rachel Summers). He followed Rachel to the present (616) to bring her back but was defeated. This timeline's Rory was Dr. Moira MacTaggart's assistant in the Muir Island facility. Eventually learning of his future self, he tried to prevent this fate but was merged with his future self anyway. This merged form joined one incarnation of Apocalypse's Horsemen but has not been seen since. Gazer's powers enabled him to work in a NASA space station, where he met the X-Men once. He was depowered during M-Day and was dying of radiation poisoning in the space station. However, he was brought back to Earth by Apocalypse who turned him into his War. He was later killed by Ozymandias.